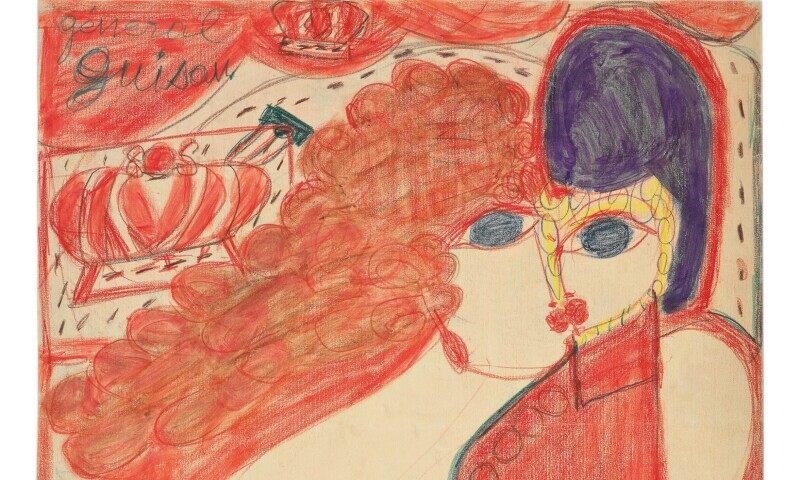 Aloïse Corbaz, General Guisan under the final bouquet , between 1951 and 1960. From the big names in the art brut to more confidential works, it's first and foremost a look, that of a woman, the Viennese collector Hannah Rieger, who invites us to live "in Art Brut" in her own way. Women's works and portraits of women merge in this exhibition which brings together 105 works by Austrian and international artists.